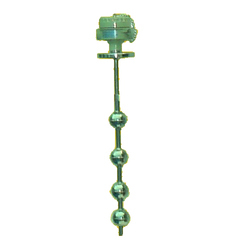 We are a leading Manufacturer of liquid magnetic float level switch, magnetic float level switch, top mounted magnetic float liquid level switch, magnetic float liquid level switch, top mounted liquid level switch and magnetic level switches from Vadodara, India. We have established ourselves as leading name in the field of Liquid Magnetic Float Level Switch in the market at the present scenario. Switching is achieved with the unique magnet system, giving snap-action latch-on switching. A switch mechanism is mounted inside the enclosure adjacent to the pressure tube. Vertical movement of the float magnet in the pressure tube simultaneously actuates the secondary and tertiary magnets in the switch mechanism to operate the contacts. 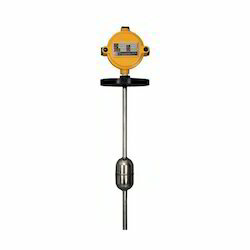 Dhanbad Approved ) Operating Pressure : 10 Kg / Cm2Operating Temp : Maxi. 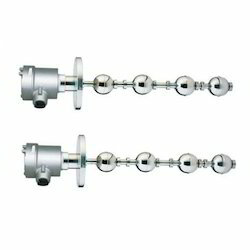 1000 C.
Magnetic Float Level Switch emerges as a product that is high-on performance and comprises of well-tested design. Features include a rugged stainless steel body and fork, economical threaded connections or hygienic connections, direct load switching or PNP output, and overfill approval. This one is based on vibrating short fork technology, making it suitable for most fluid applications. This one withstands very high temperatures and extremely high pressures and is for use in safe areas. S.S.316 or S.S. Lined C.S. Etc. A magnetic float moving alongside the protection tube tracking the level is activating the reed relays incorporated in tubes. Single, Bilevel and multilevel sensing with potential free contacts. Terminations: cable / DIN connectors / RTD head / weather proof or flame proof junction box. 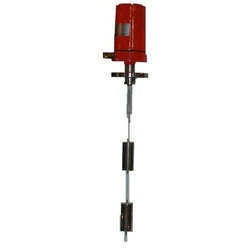 Flowtech Introduced magnetically float operated Top Mounted Level Switch for controlling one or multi Levels by using reed Switch .The Unit Consists of Vertical Guide Pipe (Stem ) , Reed Switches Are located , Magnetic Float Sliding over the Stem according to the level in the tank. After passing the float, the reed relay will retain their output state. Various materials of construction are available depending up on Service Condition. 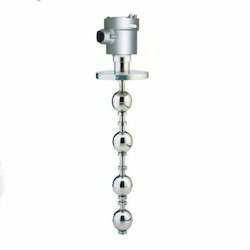 Maximum 4 Set points can be given in a Single Level Switch & Maximum stem length will be 3 Meters. 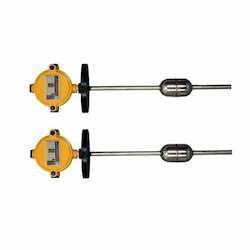 We offer flawless quality Top Mounted Magnetic Level Switch for our customers. 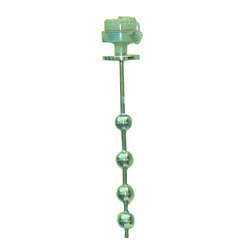 These are used for controlling one or multi Levels by using reed Switch or micro Switch. It has a magnetized float moving alongside the protection tube (S.S.316) which tracks the level and activates the reed relays inside the tube. The red relay retains their output state after passing the float. These are available in a variety of material as per exact application. 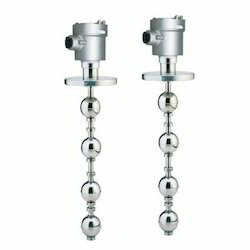 A maximum 4 set points are given in a single level switch and maximum stem length can be of 2 meters. Mini 50 NB to ANY Size in C.S. or S.S.304 or S.S.316 or S.S. Lined C.S. etc. 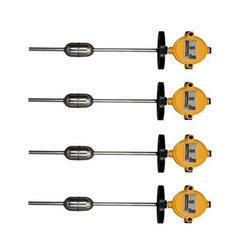 We offer high quality Multi Point Magnetic Float Level Switch which are useful for larger tanks monitoring up to eight independent levels in a single device. These are available in length up to 2000 mm and are manufactured using various combinations of floats depend upon the services, various mounting and materials. These are able to effectively track changing levels within the tanks and are proficient in monitoring liquid interfaces of dissimilar liquids in single tank line oil- water separations, chemical emulsions or condensation levels.